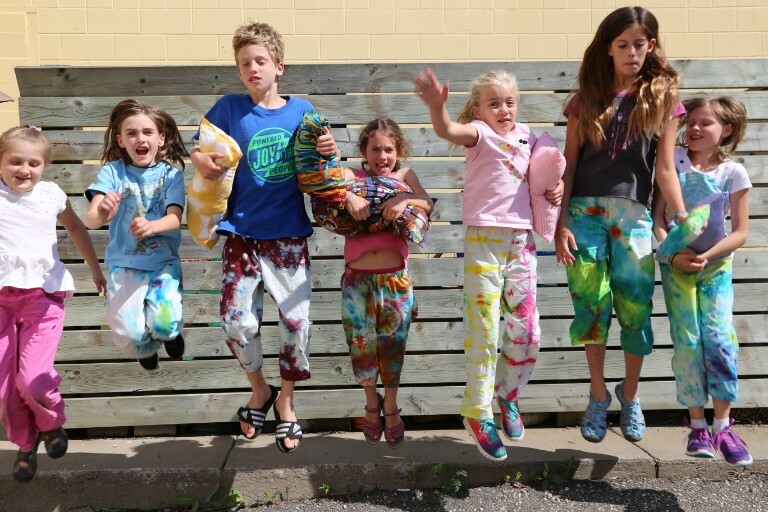 Stand out at your next slumber party with a one-of-a-kind custom dyed and machine-sewn pair of pants. 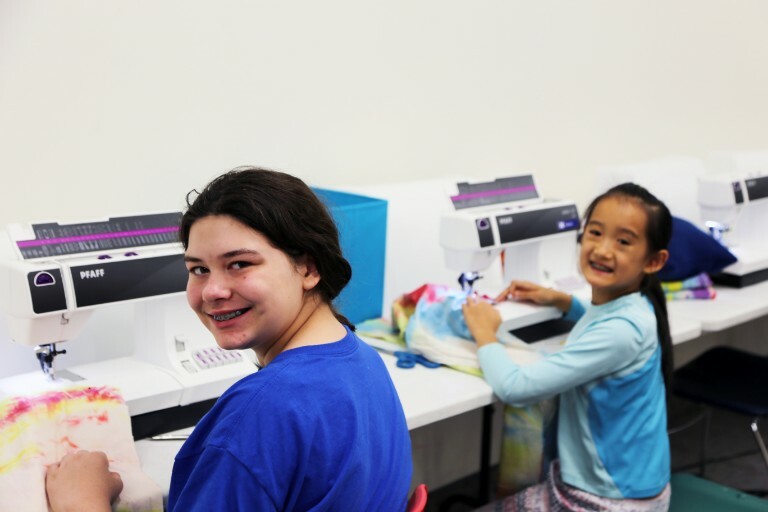 Learn basic sewing skills, spend a day in our dye lab, learn how to read and use a garment pattern, and make something special to wear that shows off your style. *Tip: No experience necessary. 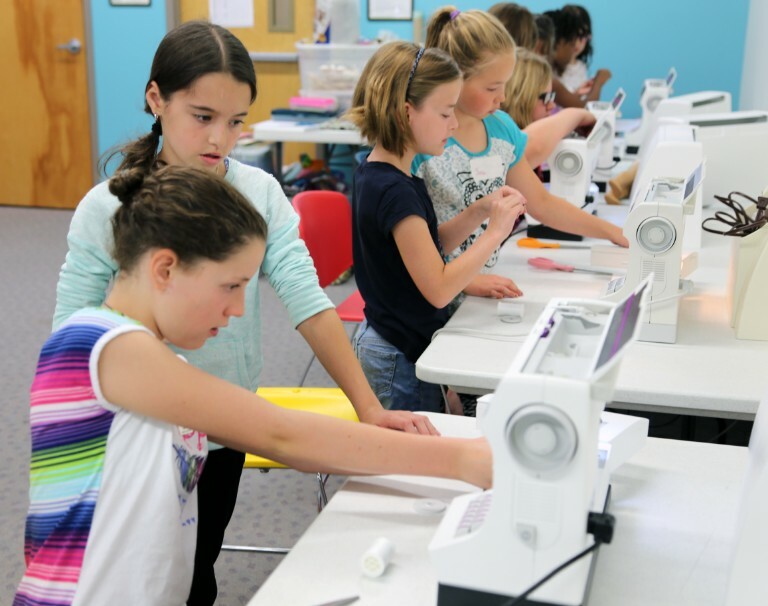 This is the perfect beginner sewing class. *Please note: If you are registering more than one student for a camp, please do not update the product quantity (leave at 1). Add the camp to the cart as many times as students you are registering (ex. for three students, add the camp to the cart three times), and then checkout as one purchase. If your notice of withdrawal is received 2 full weeks (14 days) before the start of your camp, you will receive a full refund minus a $25 processing fee. If you withdraw less than 2 full weeks before the start of your camp, there is no refund. All camp transfers are subject to the same $25 processing fee. 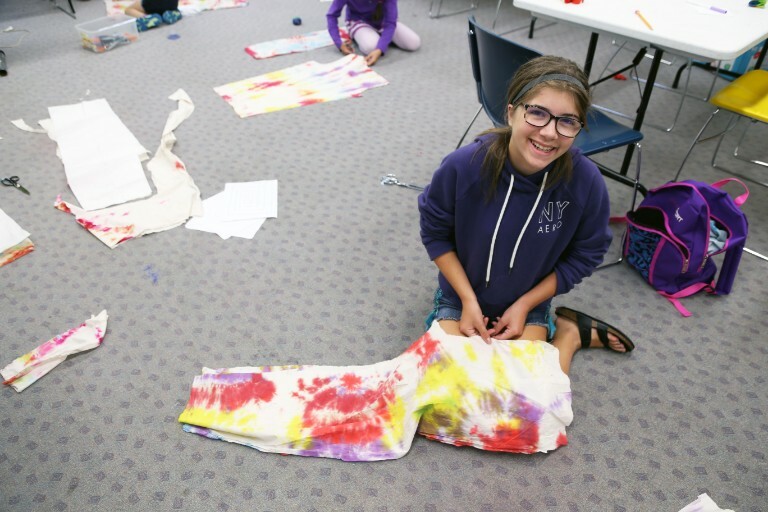 Transfers need to be made 2 or more weeks prior to the start of camp, and approved by Youth Education Associate, Scarlett Larson. No transfers will be approved with less than two weeks notice. We will be happy to provide you with a receipt for your donation to Textile Center, for any forfeited tuition minus the $25 processing fee. Click here to download the supply list. Patricia Freiert was introduced to shibori through a gift from a Japanese friend in 1988. Subsequently she has studied with a number of major shibori artists and spent a year apprenticing in Japan. Her work is noteworthy for the wide variety of techniques that she uses to create patterns and textures. She has had work featured in shops across the US and has exhibited in Japan and Minnesota. 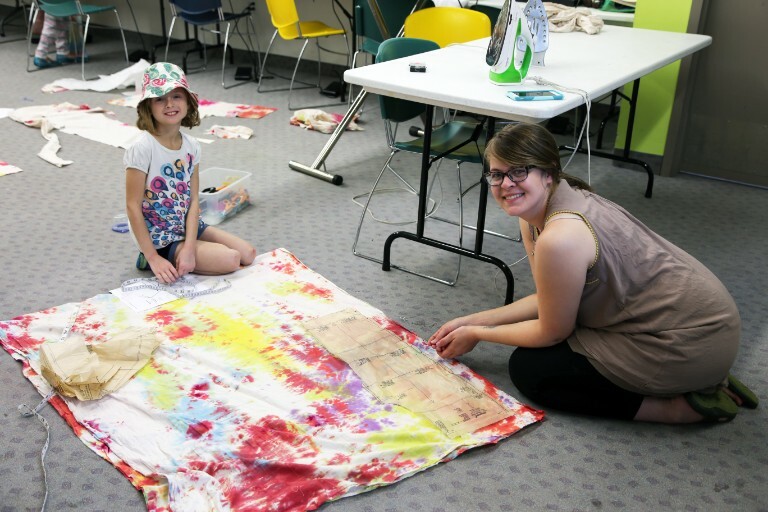 Her public installations can be seen at Gustavus Adolphus College and First Lutheran Church in Saint Peter. Karen Engelbretson is a professional graphic designer, illustrator, and president of KJE Design, LLC. Educated in fine art, design, and marketing, she studied botanical drawing and painting since 1998. She works from her studio in Grant, MN, near Stillwater, where she also operates Kiss Letterpress Company, a small format letterpress print shop. As a fiber artist and creator of KJE Felties, Engelbretson has sent over 1,000 needle felted bird kits into the world from Textile Center’s Shop and her Etsy site, KJEFelties. Offered again due to popular demand! Our hands are truly amazing! Aristotle described the human hand as the “tool of tools”–and unfortunately, many fiber artists develop the unhealthy habit of using our hands too much. What if caring for your hands were as easy and enjoyable as spending a few minutes playfully rolling with a small bright-green ball? Ball Rolling for Happy, Healthy Hands introduces a fun and accessible method for providing self-care for our overused hands. Learn more than 25 playful healing movements, healthier posture and positioning, greater awareness of ergonomics, better breathing, enhanced relaxation, and whole body benefits. Participants will receive an instructional book and Small Health Balls. Materials fee $17, payable to the instructor. Admission is free and open to the public. 2 doors east of Textile Center. * Open all day Tuesday!